While Modi govt denies unemployment figures and PM tells Parliament ‘crores of jobs’ have been created, BJP-ruled Uttar Pradesh shows there is a crisis at hand. Lucknow: Jobs continue to be the hot topic of conversation in India’s political circles, especially since last week’s report that unemployment figures had hit a 45-year high in 2017-18. The Narendra Modi government has strongly denied these reports, with the Prime Minister telling Parliament Thursday that crores of jobs had been created in his tenure. But reports coming in from across the country counter these claims – of graduates applying for jobs such as canteen waiter, which require just primary school education, or to become railway gangmen. The latest is from India’s most populous state, Uttar Pradesh: About 3,700 PhDs were among nearly one lakh people who applied for 62 posts of ‘telephone messengers’ for the police department. 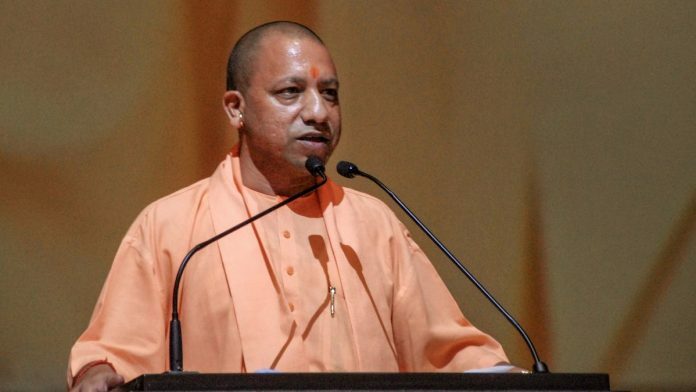 Chief Minister Yogi Adityanath’s BJP government invited applications for the telephone messengers’ posts in July last year. A telephone messenger is supposed to be a letter-carrier of sorts for the police department, ferrying documents and files between police stations on bicycles. The qualifications listed for the job were education up to Class 5 and a declaration that the applicant knew how to ride a bicycle. But the selection board was shocked to see the nature of applications — 50,000 graduates, 28,000 post-graduates and 3,700 PhD applicants had applied for these 62 posts. Of the 93,000 applicants, all but 7,400 were overqualified. The list of applicants included those with B.Tech, M.Sc and MBA degrees. These posts had apparently been lying vacant for 12 years, and the department decided to conduct an examination to select candidates. In fact, in August 2018, UP’s labour and employment minister Swami Prasad Maurya had admitted to the state assembly that jobs were hard to come by, and that there was an increase in unemployment in the country’s largest state. Answering questions from Congress MLAs Ajay Kumar Lallu and Aditi Singh, Maurya had said employment opportunities had decreased in the public sector but increased in the private sector. Maurya had said the reason for the increase in unemployment was the rise in population. According to Maurya’s response, between 2016 and 31 August 2018, the number of ‘new’ unemployed people rose by 9 lakh. The state labour department website states that there are around 22 lakh unemployed people in UP, of which more than 7 lakh are graduates. Maurya said that from 1 April 2017 to 31 March 2018, around 63,152 youth had been employed through employment fairs in the private sector. He also said that around 1,89,936 had been trained under the Kaushal Vikas Mission, of which 67,003 youth had been employed, during the same period. He added that 34,427 skilled and 28,725 unskilled people had been given employment in the private sector. According to Maurya, there is no dearth of jobs in Uttar Pradesh, but what’s lacking is suitable candidates. Chief Minister Yogi Adityanath recently made a similar statement, when he said the state government was looking for competent teachers but hadn’t been successful. This remark had drawn sharp criticism from the opposition. The lack of employment opportunities is a cause of massive worry among students aspiring to bag government jobs. “There are very few jobs for which the government has been inviting applications. Apart from the railways, there are hardly any central government jobs, and many positions in the railways ask for technical skills,” said Devendra Kumar, a government job aspirant. According to Himanshu Srivastava, who has been living in Lucknow for many years in the hope of becoming a government employee, “as soon as vacancies are announced, lakhs of people apply”. “For every vacancy, there are at least 5,000 applications. In such a situation, it has become very difficult to get a government job. Many examinations get cancelled and in many cases, results are yet to be declared,” Srivastava said. The data about PhD applicants, why, this entire article about unemployment is DEPRESSING. But looking at it from a distance, one must say that our countrymen’s craze for degrees is ridiculous. I remember a TV interview that Shekhar Gupta did with someone many years ago. SG pointed out that there are weird choices for research topics; apparently, there was a PhD thesis on, “Hindi Sahitya mein LOATE ka mahatv”!!! (Importance of a loata in Hindi literature). A “loata” as we know, is a round, almost spherical utensil with a flat base, that is used for carrying water, milk etc.